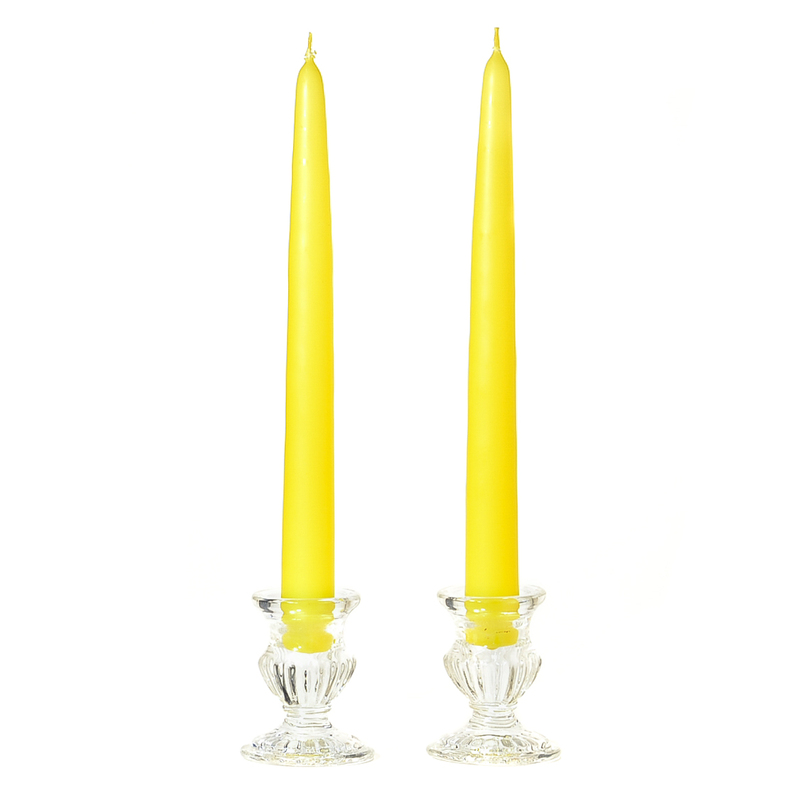 We manufacture beautiful burning small yellow 8 inch taper candles at our facility here in the U.S.A. Our small 8 inch dripless taper candles are perfect for setting a romantic atmosphere in your home or for events. 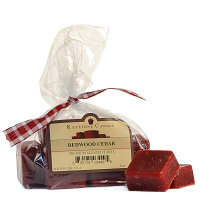 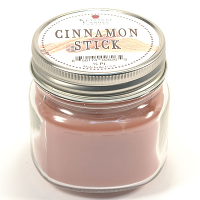 To make these dripless candles we dip a white taper core into a higher melt temperature wax. 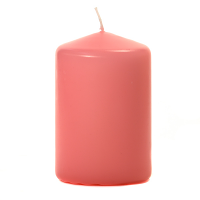 The outer coating of colored wax acts as a shell, keeping the liquid wax from pouring down the outside of the short taper candle. 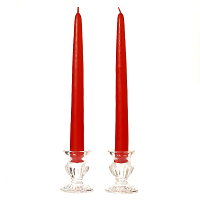 Our 8 inch colored taper candles are great for decorating because we also make matching pillars, votive, and floaters. 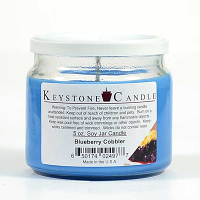 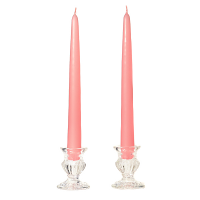 Having so many candle styles available in matching colors allows you be very creative in designing your centerpieces and surrounding arrangements. 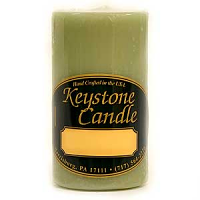 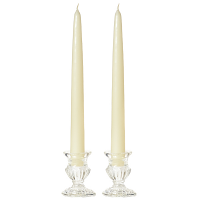 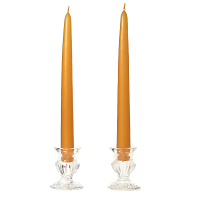 Our unscented taper candles will fit into standard size candlesticks. 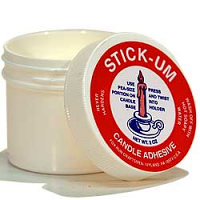 These unscented candles are sold by the pair.